Congratulations to the 2002 Stanley Cup Champs: THE DETROIT RED WINGS!!! The focus of my project has been to locate the eyes of a person given their picture. To do this, I first use a simple skin detection algorithm to find the skin tone regions. (For my project, I have assumed that the background contains no skin tone regions. 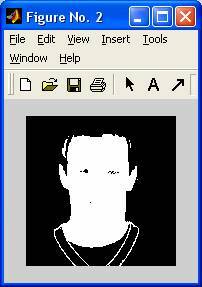 Next, I perform some image processing techniques on the face region. These techniques include zero-crossing, morphological operations, intensity filters, and small and large size filters. 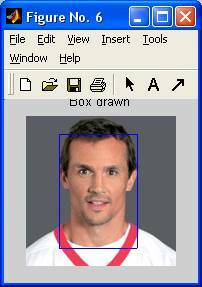 Next, I determine the eye regions based on the amount of overlap each region has with every other region. Regions in the top ten percent and bottom forty percent of the picture are deleted as the eyes do not occur in those regions of the face. After determining where the eyes are, I crop the eyes and enlarge them. Then, I separate the eyes and crop them.